Are you a cheese lover? In this house we both are. I prefer sharp, aged, vintage, full flavoured. The Retired Husband (TRH) leans towards the milder flavours. He’s a lover of haloumi, Jarlsberg and feta. We both love a good blue vein. For me it was an acquired taste. A couple of years ago we decided to try out some new and different cheeses. So we traipsed our way to the famed Adelaide Central Market. There was so much to choose from it was hard to decide. But we did buy the stinkiest cheese we have ever had. I mean really. stinky – munster gérômé. A French number. It was an experience. You can read about it here. One I’m glad to have had. But not so sure about repeating. The smell is truly atrocious. It takes 10 litres of milk to produce 1 kg of cheese. The average cow yields 5 -6 litres of milk per milking – twice daily. That’s a lot of cows – and sheep and goats – busy producing milk for the cheese factories. In fact sheep and goat cheese have been around a lot longer. Most cheeses are best served at room temperature for maximum flavour. Pecorino is traditionally made from sheeps milk. So is traditional Greek yoghurt. Goats milk is closer to human milk than any other commercially available milk. Mascarpone is the Italian version of cream cheese. Ricotta is made from the left over whey of other manufactured cheeses. Haloumi has a higher pH which is why it can be fried without melting. Cutting camembert before it is fully ripened will halt the process. Blue mould cheese ripens from the inside out. Apparently this cheese can cause vivid dreams. The Sardinian cheese ‘casu marau’ is a form of pecorino deliberately infested with the larvae (or maggots) of a cheese fly. Acid from the maggot makes the cheese very soft. The making of this cheese has been outlawed but apparently can be found on the black market. Why, I ask myself, would anyone want to get some ? Some cheeses, like Italian mozzarella, are made from buffalo milk. The world’s most expensive cheese costs $2,000/kg. It is Serbian ‘pule’ It is made from the milk of a herd of only 100 female donkeys, taking 25 litres to make a single kilogram. A giant wheel of cheddar weighing more than 500 kg was given to Queen Victoria as a wedding gift in 1840 by cheese makers from two villages in Somersetshire. A cheese based power station is churning out enough electricity to keep the lights on in Albertsville, a little French alpine town. Italy’s Credito Emiliano bank accepts giant wheels of parmigiana reggiano as collateral for small business loans. The cheese is stored and aged in the climate controlled vaults of the banks until the loan is paid off. How cool is that! good will and friendship we want. I lean to the milder side myself but can do without. It’s not for everyone, although I imagine if you were allergic, the choice of readily available foods would be severely limited. I once had a secretary married to a Sardinian (in Geneva). 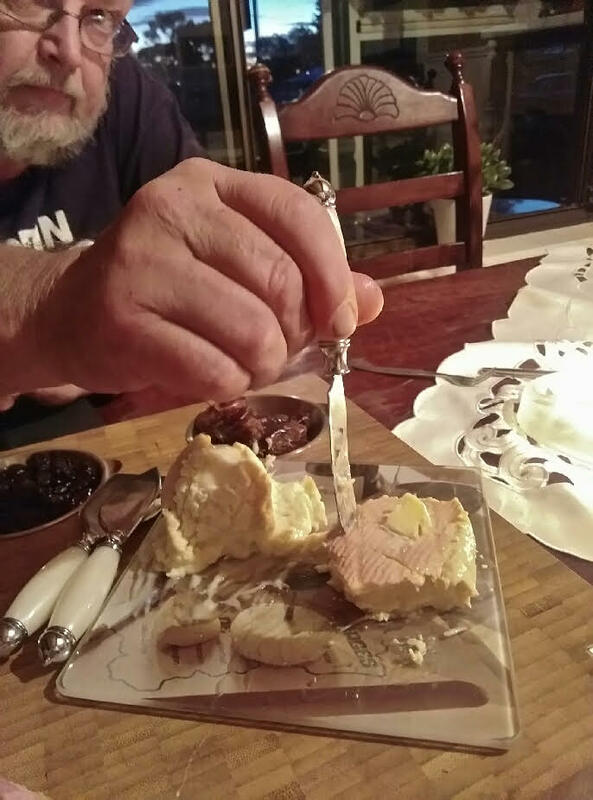 She thought he and his brothers were joking when they brought her maggot-infested cheese, and she refused to try it – but her spouse and all her inlaws ate it with great relish. She later divorced – not sure whether cheese was a contributing factor! People eat weird stuff! I can’t blame her. I think I’d have trouble getting over the thought of maggots crawling in it too !! Blue, strong and stinky!! And that’s just my socks!! *cheesy smiles* back at ya !